Throughout the Legend of Zelda series, and especially with the more recent entries to the franchise, each instalment’s art direction has been a real focal point for discussion and has given each game their own, unique identity. Breath of the Wild was no different; seeing Hyrule in its cel-shaded guise feels so right, even for those of us who had originally hoped for something more “realistic”. So what happens if you strip away the game’s art style, leaving everything exactly where it was but with a completely different appearance? Well, exploring exactly that, YouTube user Arkh Longstride has shared a video of a heavily modded emulation of the game running on PC. Various areas have been almost undebatably improved from a graphical point of view – look at Link’s breath, for example – but the general art direction, which takes away the cel shading, is just different. Sure, it some ways it looks great (we love intense graphical detail as much as the next person), but in other ways, something gets lost. The game is running at 60fps, and the world has never been so detailed, but we’re not sure we’d pick this over the original. It’s definitely an interesting talking point; check it out for yourself below. Now that you’ve seen it in action, what do you think? Better than the original? Worse? 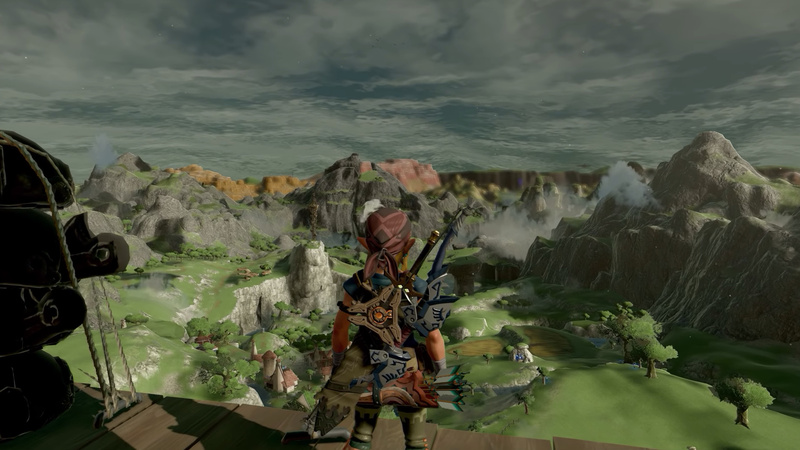 Would you like the next new Zelda to look like this? Share your thoughts with us in the comments below.